If you can bake a cake, then you can develop your own film. It's nothing like as complicated as most people think and you can expect to get excellent results first time. You just need to follow each step carefully. This guide is based on developing Ilford FP4 Plus film which is ISO125. Different film speeds require slightly different conditions, but it's all pretty much the same thing. FP4 Plus is one of the most common films available and can be very forgiving if you get things wrong. Firstly though, you'll need to buy a few things to get started. All these are easily available online. 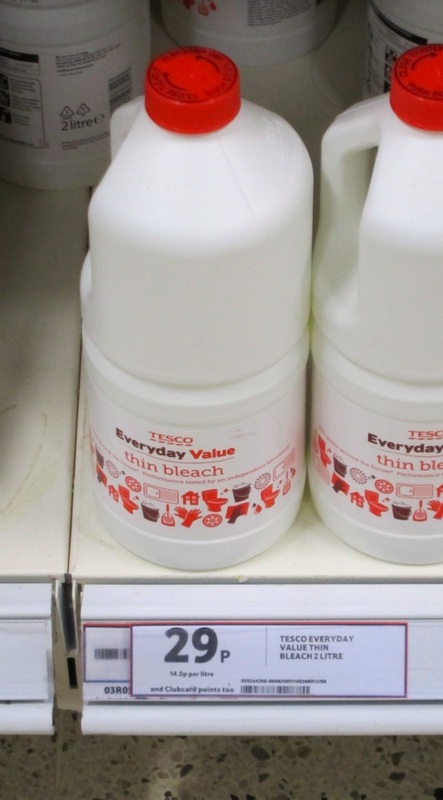 The Rinse Aid isn't essential, but you'll not have to buy it often. Altogether you can expect to pay about 30 pounds for all this. REMEMBER - Although not highly toxic, you should avoid contact of the chemicals with your skin. I always wear latex gloves though out the whole process. 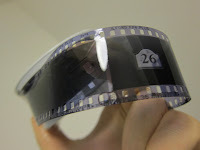 This will also help keep the smell of the chemicals off your skin, and your finger prints off the film. Also , you'll need some basic equipment. I'd recommend trying to pick this lot up on ebay. There's a good chance you can get it all in one lot with maybe other stuff thrown in. It'll maybe cost ten pounds for this lot. 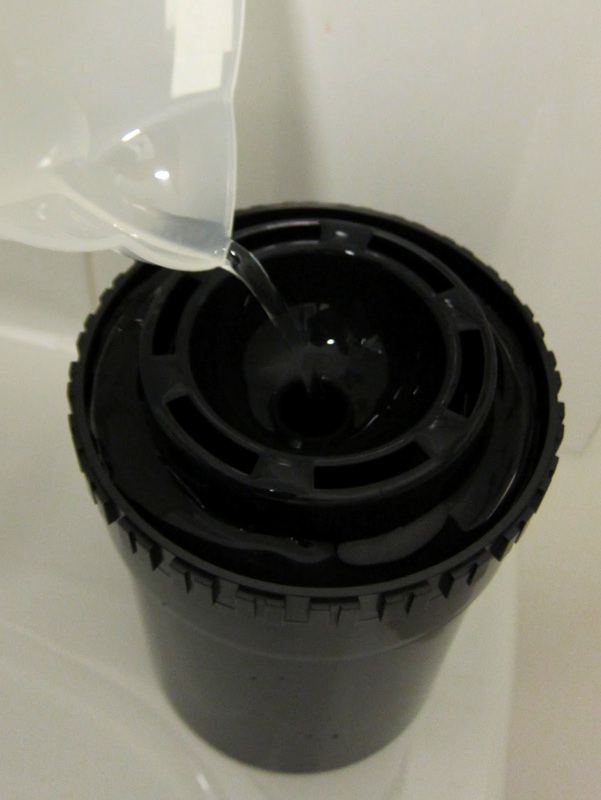 TIP - Don't pay several pounds for special containers for the chemicals. I bought mine from Tescos for 29p and just threw the bleach away and washed them out several times using warm water. The other items you can get for pence at a supermarket too, it's just the Film squeegee which you'll need to look around for. The shop you buy the chemicals from will likely have them, also ebay too. Expect to pay around ten pounds for a pair. Once you've gathered it all together you're ready to start. The developing chemicals are sold in a concentrated form and you need to dilute them carefully for use. You can use tap water to do this and the ratio to use is on the front label. However things like 4:1 aren't too helpful really, so firstly take a look at your developing tank and turn it over. You should see something like this. 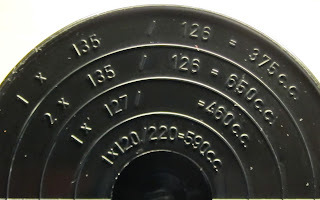 Mine tells me I need 375ml/cc of fluid to cover one roll of 35mm film or 650ml/cc to cover two. 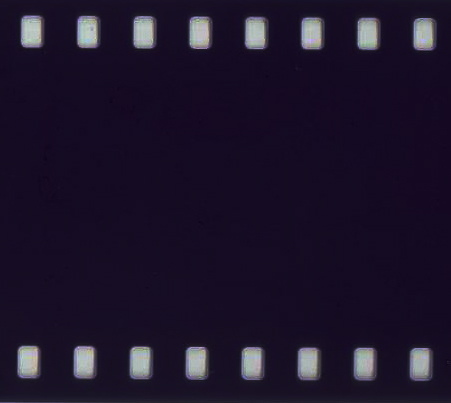 Ignore all the other numbers, they're for different film formats. To start with just work on developing one film at a time. 38ml of Ilfosol 3 (1 part) to 337ml of water (9parts) to give 1:9. Mix this up and leave it in a measuring jug. The Rinse Aid is optional really, but its worth using. Just put 3ml into 500ml of water, the concentration of this one is less important. Again, put it into a container and label it. Keep all the chemicals at room temperature. They don't work too well if they're cold. TIP. Because you use the Ilfosol 3 only once, first get the temperature of the water to around 25degC using your mixer tap first so that it's ready to use. This step you HAVE to do in the dark. And I mean totally dark! I know some people just do this part in a plastic bag under a load of bed sheets, but I do this in the garage at night. Whatever works really. 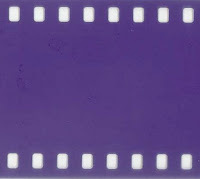 Either way you'll need to practice some of this in daylight first on an old negative strip. Once you're ready, use the bottle opener to prize the lid off the film can. Work on the end which does not have the spool protruding. Slide the spool out, take a pair of scissors and cut off the leading edge. Now load the leading edge of the film on to the spool so that when you twist one side whilst keeping the other still, the film loads on to the spool. 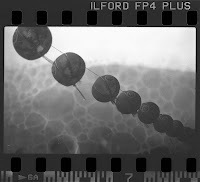 A few times I've had pull the film off the spool and start again because it got jammed, but be patient and don't panic. Once loaded, get the spool onto the spindle and into the tank, screw on the lid and you're done. You can now turn on the light. Timing is everything in this step. But because you now have the film in a light sealed Developing Tank, you can do all this in normal light. Development times depend upon two things. ISO and temperature. As everything in this guide is based on Ilford FP4 Plus, we can ignore ISO (see here for other films from Ilford). This leaves temperature, the higher this is, the faster our development time. Most critical is the temperature of the Ilfosol 3. 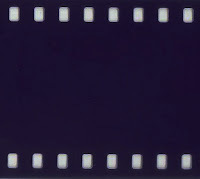 If you can keep this at 25degC, then it needs just 2mins 50secs to develop the film properly. So get your clock set up, add the Ilfosol 3, put the lid on the tank and invert it a couple of times. Then tap the base against the table to dislodge any bubbles on the film. Each minute invert the tank four times before giving it a light tap again. Whilst you are waiting get the top off the Ilfostop for the next step. 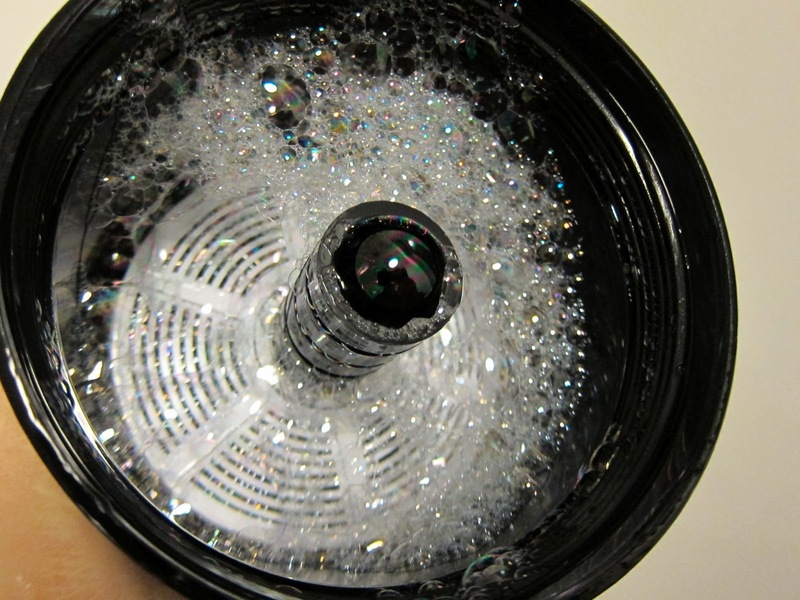 At exactly 2mins 50secs, pour out the tank into the sink and immediately add the Ilfostop. This needs to be in the tank for just 10 seconds or so. 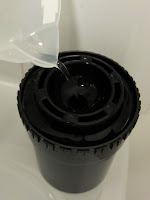 All the times from now on are not too critical, so invert the tank a few times then pour the Ilfostop back into its chemical container using the funnel. You can re-use this several times. Next pour in the Rapid Fixer. This needs to be in the tank for 3 mins. Remember to invert the tank four times after each minute. At the end pour the Rapid Fixer back into its chemical container. Again you can re-use this next time. Now you just need to wash the tank out with water. I do this the following way. Fill with the Rinse Aid, invert a few times, pour back into it's container for use again. Now you can open the tank and pull the film off the spool. 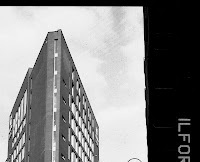 If it all went well, you should have some images on the film! Now you need to hang it up using the clips and wipe it down with the squeegee. Try to get as much water off the film as you can. Then I cheat a little and use a hair dryer to quickly dry the film whilst holding it straight. Once dry, cut it up into strips of six negative images each, and scan it in! This is usually caused by residue from the Rinse Aid being left in the Developing Tank and causing the chemicals to foam during developing. There's nothing you can do to fix this once it's happened. It's really important to wash everything you use before developing your next film. Regular lines or ripples on the image. 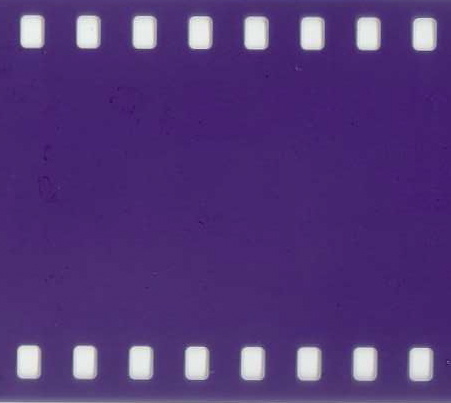 Most likely caused by fingerprints on the negative. Depending upon when this happened there is a possibility you can carefully clean the negative to remove them. If you wear gloves whilst doing the developing, it's a good idea to keep them on until you've scanned the film too. Sometimes the film can get caught in the spool and it tears. 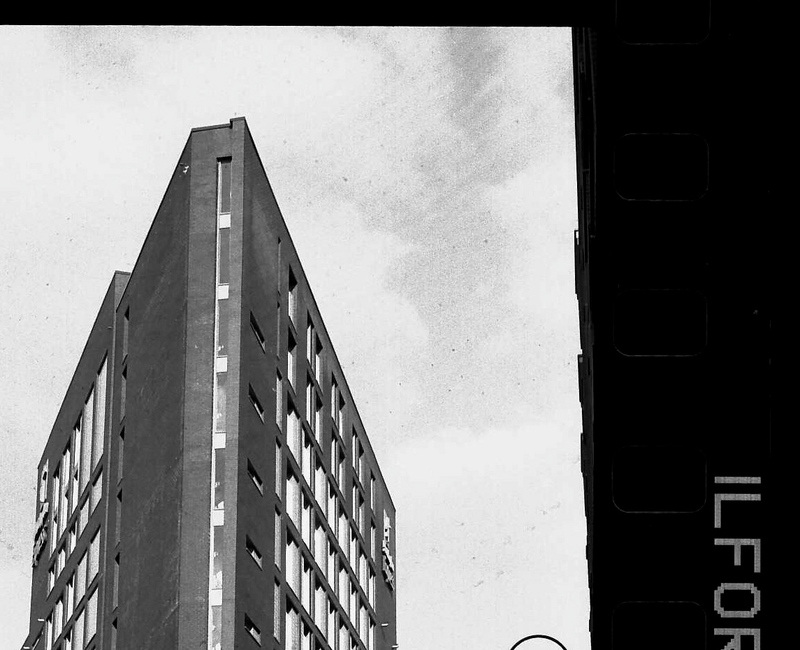 Although it might look ruined, sometimes you can actually scan the negative to get a respectable image. This is the advantage of digital scanning over making photographic prints. Your success will depend upon how much detail is in the image, where the tear is and how patient you are in photoshop. No photos at all? Just a clear film? This is a good sign that you added the Rapid Fixer first. If you're sure you added the Ilfosol 3 first, maybe it's our of date. Remember the chemicals have a fixed shelf life and once opened they oxidize. This type of thing typically happens when your chemicals are out of date. They last about four months once opened. If the Ilfosol 3 is a deep orange colour, it's oxidized and you need to throw it and buy fresh stock. 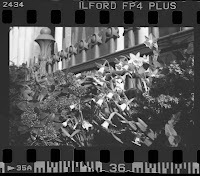 If the negative it totally black the film was totally overexposed before you even started developing it. All content © copyright all rights reserved. Simple theme. Powered by Blogger.